The Anandshala program helps make schools joyful learning spaces by enabling students and teachers to think and express themselves freely. Anandshala enhances language abilities and ownership for schooling by building stronger relationships between students, teachers and parents. It uses data as a critical tool to create a more responsive education system and drives advocacy. It has resulted in higher attendance, deeper engagement, learning for life, more trust and stronger relationships between the government, its schools and the community. 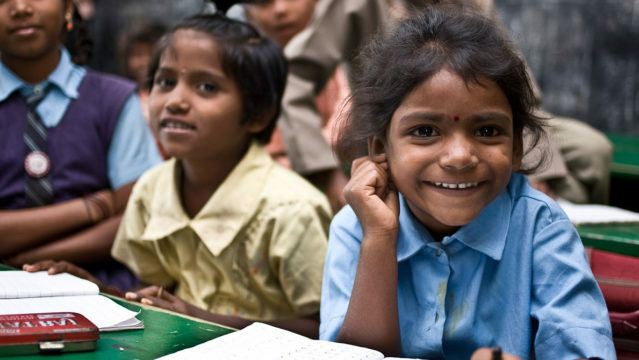 Since 2012 Anandshala has focused on improving the way that government policies, which deliver quality education, are implemented in Indian schools. The program is a result of learning from a 3-year pilot project, which has been scaled to a district-wide strategy and implemented across 996 schools. Students attend school regularly, engage more fully in school-related activities and improve their language and communication skills. Teachers become Change Leaders, armed with the knowledge, skills and attitudes to foster a student-friendly environment and bring in positive teacher-student relationships in schools. There is a more responsive system at the school and district level that supports all educationists to perform their roles and responsibilities effectively. 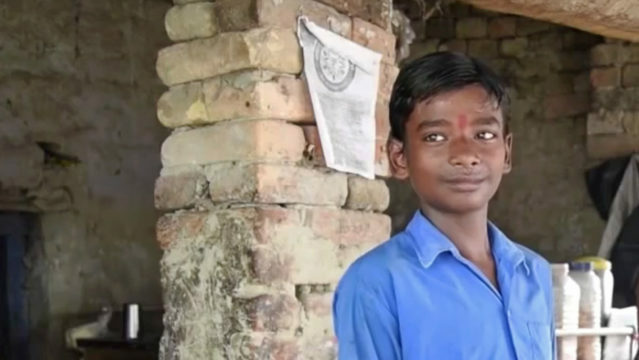 Anandshala works with the school system to ensure that every child stays, engages and learns in school. It provides teachers with tools and strategies to objectively understand students, creates a learning environment conducive to creative thought and free expression, and encourages stronger relationships between the parent, teacher and child. 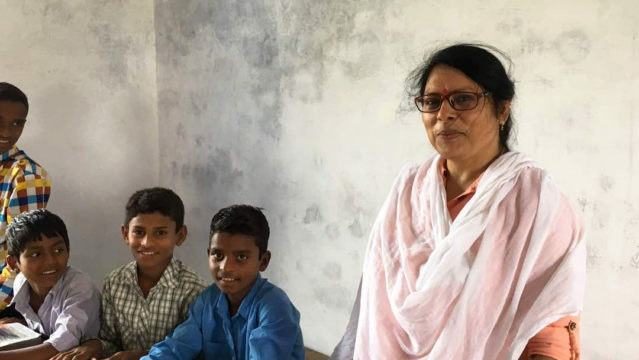 Develop Change Leaders: Master trainers created at the Government level ensure the dissemination of the Anandshala approach at the school level. Teachers use this knowledge, skill and attitude to ensure a student-friendly environment and positive relationships in schools. Share Good Practices: A platform for teachers and schools to share good practices, get recognized through awards, and encourage wide-scale adoption of those good practices. Harness Technology: With the effective use of data, teachers understand and support learners and each other comprehensively. Technology is used extensively to support Change Leaders by building capacity. Build a Responsive System: Advocacy works towards an integrated education system connecting different stakeholders from the school level to the district level, built around the idea of joyful learning environments. In building relationships between teachers and students, we understand that a teacher can motivate students with curiosity, imagination and a desire to learn. In this video, we take a look at a group of students who share their thoughts on who their favourite teacher is – and why. It serves as starting point for teachers to begin a dialogue on building relationships with students based on equality, and why this is a crucial aspect of being an educator. An Early Warning System that uses school level data to help teachers get to know students, build relationships and track progress of those who are not attending, engaging and learning in school. An Enrichment Program that uses innovative strategies, activities and tools like movement, the arts and stories to encourage students to develop language skills, think and express freely and actively interact with the community. Parent Engagement through activities and games that build awareness and involvement with the school and their child’s education. Quest Alliance brings over a decade of experience in designing toolkits and training programs to enable joyful learning in schools in India and beyond.